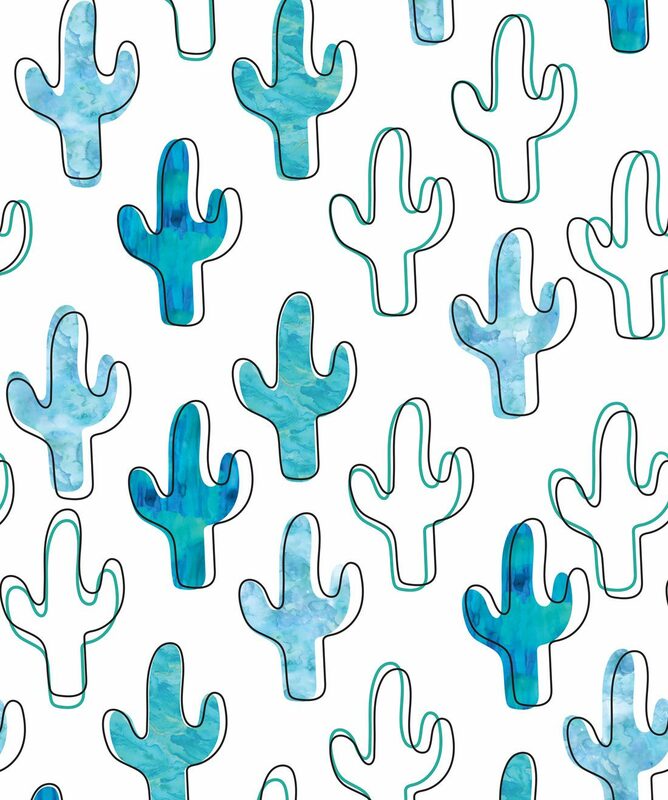 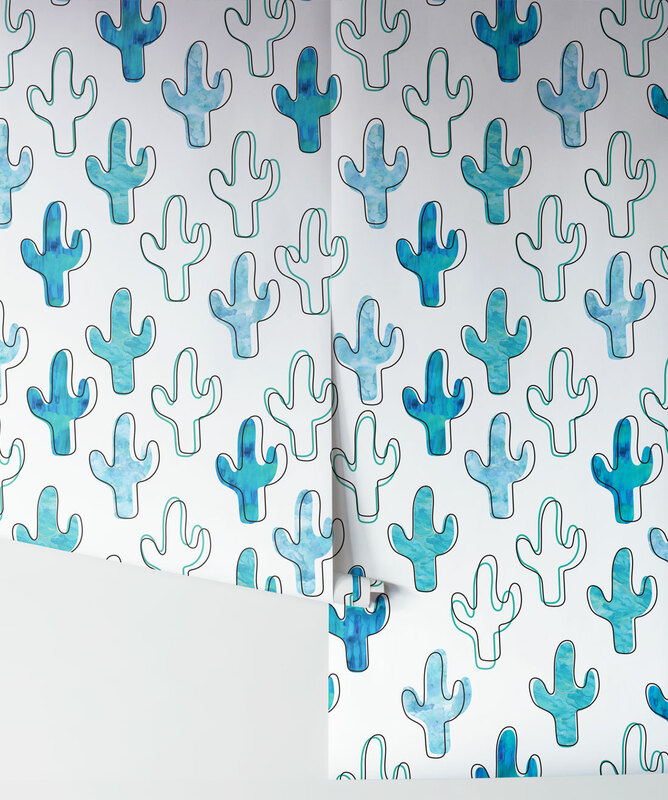 Nothing says fun and adventure like a vibrant cactus print. 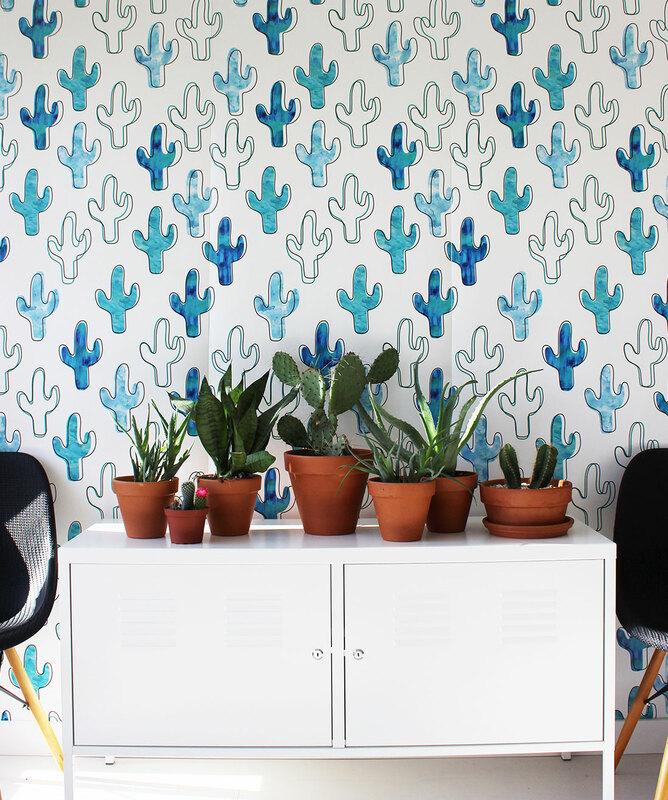 This bold wallpaper creates a feeling of whimsy and playfulness, and will perfectly complement your next desert decor idea. With bright pops of blue and green, this design is ideal for adding a sun-drenched vista to any room. 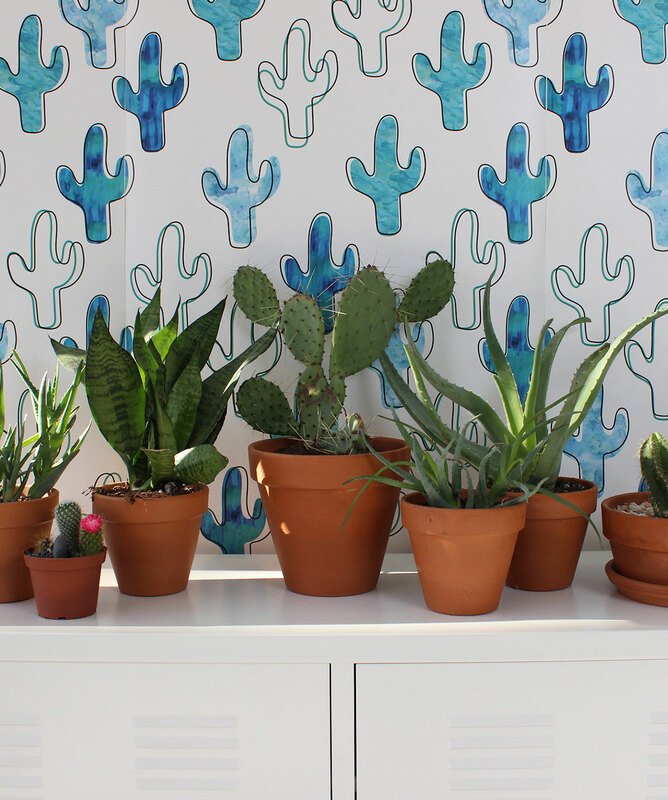 The Plains was designed by Canadian bloggers and design duo Poppytalk, whose work is always perfectly on trend.